Brave – Speak to her. King Ferguss (Billy Connelly) offers advice to Queen Elinor (Emma Thompson) about dealing with their daughter. 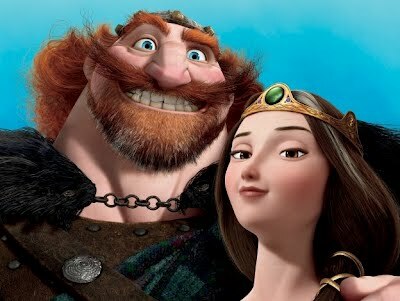 Queen Elinor looks so small and graceful compared to King Fergus! She married a bear!